Dyshidrotic eczema home remedies, dyshidrotic eczema or dyshidrosis is a skin condition in which occurs on the soles of the feet and/or palms of the hands. The blisters usually itch and may have fluid in it. The blisters usually lasts about 3 weeks and can be affected by seasonal allergies or stress. The cause of dyshidrotic eczema unknown. According to experts, this condition is associated with seasonal allergies because the blisters appear more frequently in the spring. Dyshidrotic eczema occur 2 times more often in women than in men. According to the doctor, You have a greater chance if You are experiencing stress or have allergies. Some doctors concluded that dyshidrotic eczema is a type of allergic reaction. You are more likely to experience dyshidrotic eczema if Your hand or foot often in humid conditions or wet, or if You are often exposed to metal salts, such as cobalt, chromium and nickel. If You have dyshidrotic eczema, You will be aware of the presence of blisters on the fingers, toes, hands, and feet. Blisters are more common on the edges or in folds, and usually contains a liquid. Sometimes the blisters are large will be formed and feels pain. Usually the blisters will be itchy and cause the skin to peel. Some patients reported the infected area become chapped and sore if touched. Blisters can settle up to 3 weeks before it dries. When the blisters dry out, the skin will become chapped that feels pain. If You scratch the area, You will also feel the skin feels thick and supple. In general, the doctor can diagnose dyshidrotic eczema by examining Your skin thoroughly. Because the symptoms are similar to other skin conditions, your doctor may do some tests, like skin biopsy, where a small section of skin will be taken to do the test. A biopsy can eliminate the possibility of other causes, such as fungal infections. If the doctor suspects the occurrence of dyshidrotic eczema caused by allergies, skin allergy tests can also be performed. How to overcome dyshidrotic eczema? If You are experiencing dyshidrotic eczema mild, the doctor may prescribe antihistamines, such as Claritin or Benadryl, to relieve the symptoms. Compresses can also relieve itching on skin. Avoid things that make pain and itching worse, such as scratch or break the blisters. Hand washing is important thing to do regularly, but You should avoid excessive contact with water. Avoid also the use of products that irritate the skin, like a lotion with a fragrance-free ,and dishwasher. 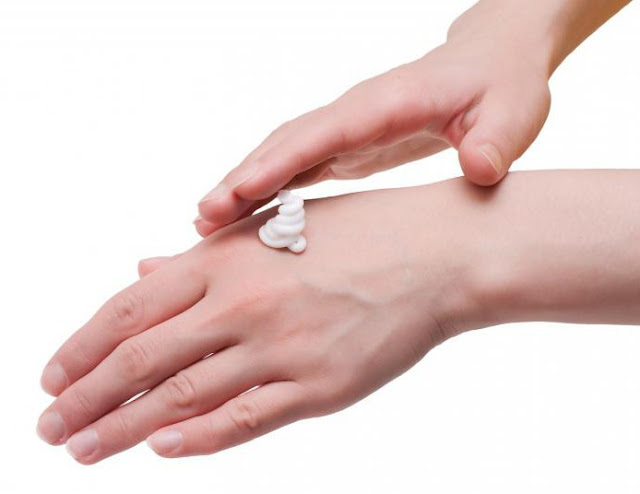 Dyshidrotic eczema will usually disappear within a few weeks without complications. If You do not scratch the infected area, dyshidrotic eczema will not leave marks. If You scratch your eczema, You will feel a sense of discomfort or eczema that is long healed. You can also experience a bacterial infection from a scratch or break the blisters. Although dyshidrotic eczema will be cured, eczema can recur again. Because the causes are unknown, doctors still perform the search process how to prevention of and healing conditions.